So, after taking care of my hubby for 3 weeks (and he is STILL getting over this virus/cold).....he has OH SO GENEROUSLY passed it onto me! I also think that now that Lauren is feeling better and more creative, she's also shared! LOL Lucky Lucky me huh??? So since I haven't gotten to craft too much recently, I decided to show you some pictures of my family. Normally, I don't really share to many pics because I feel like people are here for my crafts but I have to compensate for me being MIA lol!! Here is the Sneak Peak #3 for Scrappy Mom's "A Pinch and A Dash"
This card is super simple....doesn't have all of the layers I'm use to but i still think it turned out cute. Be sure to check out the rest of the design teams projects by clicking their names on the right sidebar. 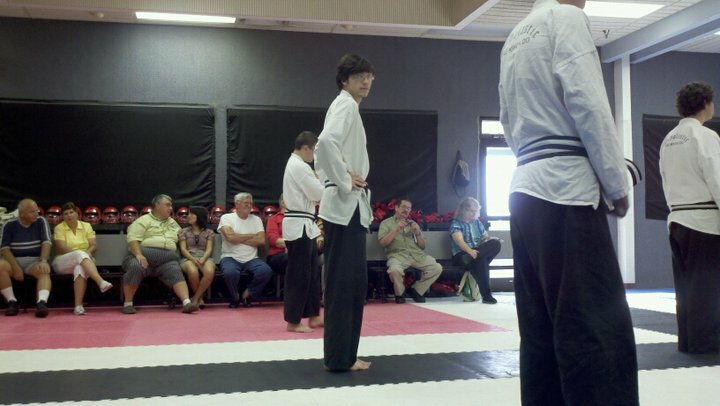 This is the youngest of my two brother in law's testing for his black belt! He did really really well!! He should be finding out soon if he passed! This is the oldest brother-in-law who transformed our lanai into his painting studio for the afternoon. 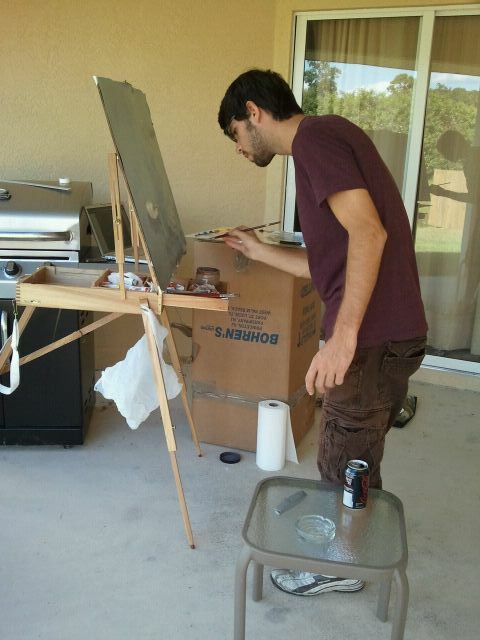 I had mentioned to him that I wanted a painting to put in my living room and he went straight to work. 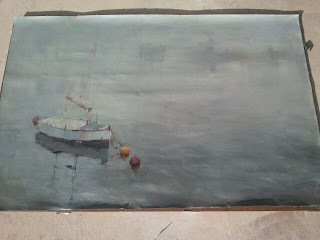 He is attending an arts college here in Florida and he is a fantastic artist....check out his finished painting for me below. He used a picture that I showed him online that I liked so he didn't just pull it from his head but I'm LOVING it! 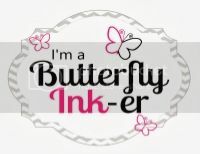 Ok everyone....hopefully I'll be back to my usual feeling better, crafting self soon! Hope you all have a great rest of the week! I think you may be on to something...Liz is sick too! Who knew that I would be so contagious! ;) I hope you feel better soon! 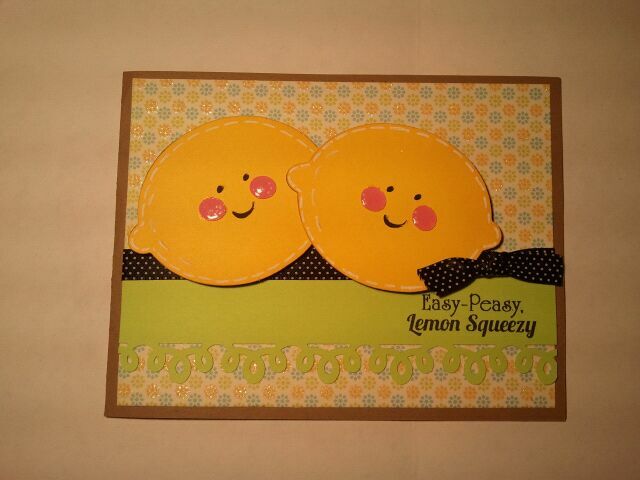 I LOVE your lemon-y card. So cute! I love your new painting as well! Gosh, we are all sick here in Maine too....Honey and Lemon is a must!!! Get well soon!!!! Awwww Trishypooh...dont be sick!!! Hope you feel better super soon!!!! Lovin your lemon card!! 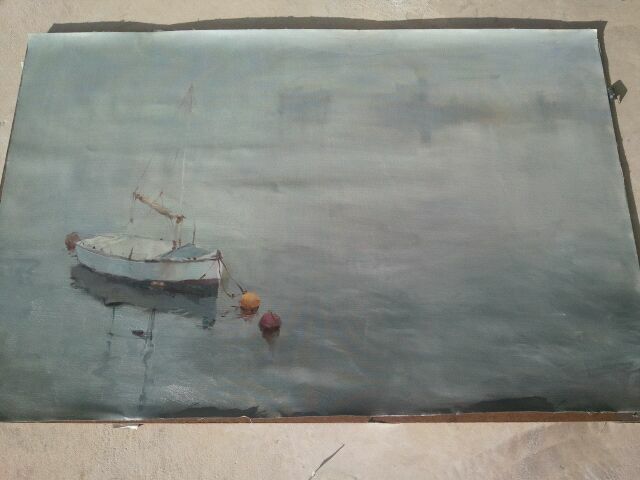 and the painting is AWESOME!!! I hope you feel better really soon! Sending get well wishes! This card is really sweet! I love the little lemons! Me gusta muchisimo mi amiga!! What did you use on their little cheekies!!?? i love it!